The Battery Doc has been providing reliable maintenance in my shed for over a decade on batteries ranging from mini bikes to 4x4s and 200AH deep cycle units. They’re reliable, trouble free and come with 3 attachment leads and a carry bag. 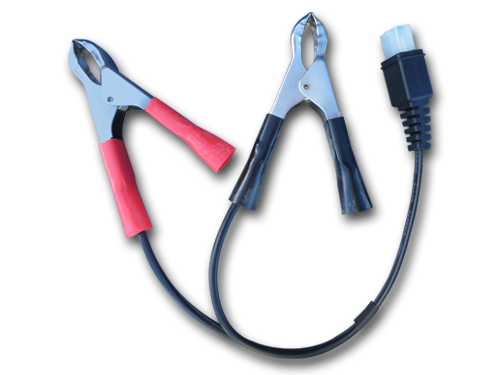 My favourite is the 30cm lead (Fig.2) which bolts to your battery terminals and has a plug at the other end. 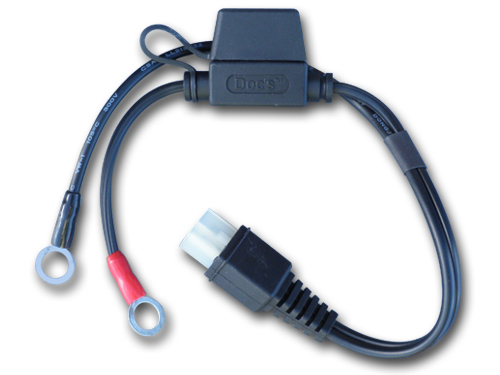 Once you’ve fitted one of these leads protecting your battery with regular maintenance is as simple as connecting the plugs when you park your bike! There’s also a small indicator light in the top left corner of the ‘Doc which changes colour to indicate what it’s doing. The Battery Doc provides a quick easy way to prevent flat batteries and extend battery life. During periods of inactivity and storage batteries self-discharge. When this happens sulfation (unwanted corrosion) can occur, leading to reduced battery life and performance. 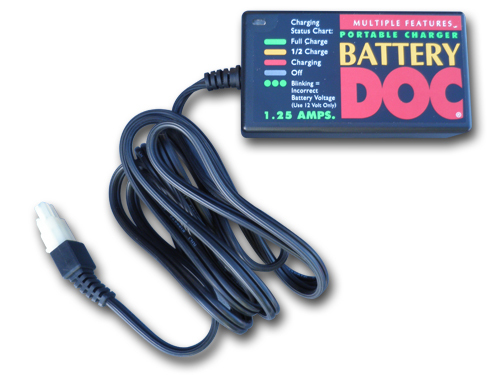 The Battery Doc is a powerful 1.25 Amp charger employing state of the art electronics. It automatically senses the state of charge of your battery and adjusts it’s charging rate to suit. A highly efficient, reliable charger, the Battery Doc will safely charge and maintain your battery at peak condition 24 hours a day, 365 days a year without overcharging. 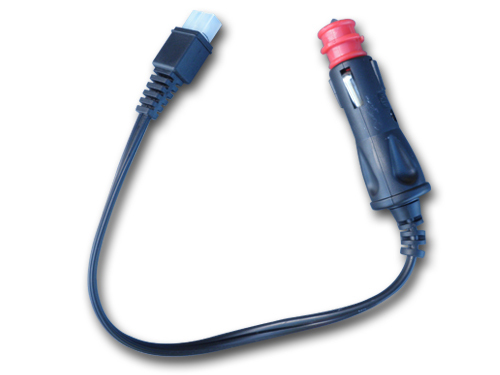 12 volt, 1.25 amp, 3 Stage. Compact, just 10cm x 5.7cm x 3.7cm. Charges and maintains batteries from 5-200 A/hrs. Maintains batteries up to 400 A/hrs. Can be left on your battery indefinitely without concern of overcharge. Always ensure lead acid batteries have adequate electrolyte levels. Always take appropriate safety precautions when working on a battery.